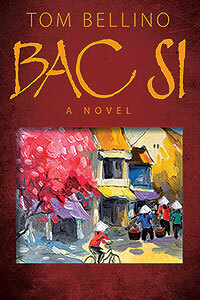 Tom Bellino brings to his novel, Bac Si, his years of experience as a Pediatric Neuropsychologist and as a Navy Psychologist during the Vietnam War. 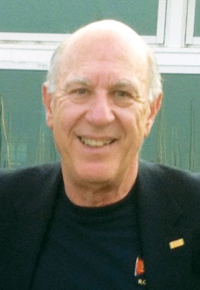 An Emeritus Member of the National Academy of Neuropsychology, he writes from Northwest Indiana and New Orleans. Navy Lieutenant Thomas Staffieri grew up in a gritty, multi-ethnic, steel town. He learned many things growing up there, but he could never imagine that he would take some of those things with him so many years later, and to so many different places. He learned languages, and found that he had a real knack for them. This language ability served him well in his field of psychology, but also propelled him into a situation which brought him into a moral conflict…..WAR. As a Navy Psychologist, he was assigned to the Hospital Ship Repose, off the coast of Vietnam. It soon became apparent that not only were his psychological treatment skills needed, but his language skills as well. During his internship, the polyglot had learned Vietnamese. That made him even more necessary to the mission of war, and that took him “in-country.” It was there that he learned what the 1000 yard stare was…..PERSONALLY. In college he met someone who would have a profound effect on him, for all of his life. Having left her in college, he soon realized that he never really did leave her, and many years later he had to try to reconnect with her. There was something only she could help him resolve…..THE WAR, AND WHAT HE DID THERE. Next Next post: Introducing Charles Cranston Jett, author of The Doom Loop!